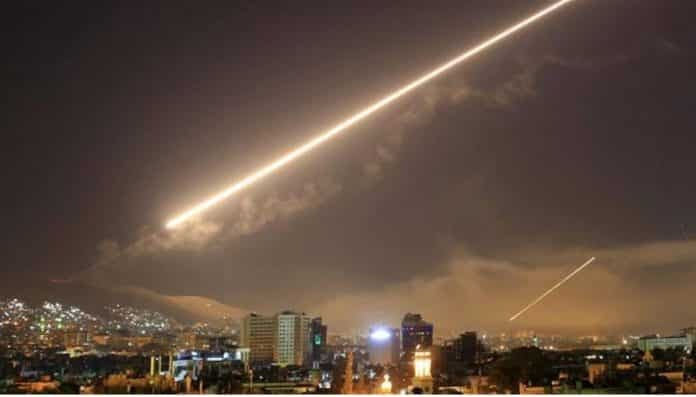 Moscow has warned Washington against making any “reckless” moves in Syria after the Russian Defense Ministry said the US, Britain and France are preparing to conduct a fresh aerial assault against Syria under the pretext of the alleged use of chemical weapons by the Damascus government. “We warn the Americans and their allies against taking new reckless steps in Syria,” Deputy Foreign Minister Sergei Ryabkov said on Saturday. “We are hearing ultimatums from Washington … and it does not affect our determination to continue our policy for the total elimination of terrorist epicenters in Syria and the return of this country to a normal life,” RIA news agency quoted Ryabkov as saying. Earlier in the day, the ministry spokesman Major General Igor Konashenkov had said that a group of militants, who were trained by a private British military company to work with poisonous materials, had already arrived in Syria’s northwestern Idlib Province. “To carry out the alleged ‘chemical attack’ in the city of Jisr al-Shughur in the province of Idlib, militants from the Tahrir al-Sham group had delivered 8 tankers with chlorine… to a village a few kilometers from Jisr al-Shughur,” Konashenkov said. “This provocation with the active participation of the British special services will serve as another pretext for the US, UK and France to conduct a missile strike on the Syrian government and economic facilities,” he said. Bolton issued the warning during his Thursday’s talks with Patrushev, the report quoted four people familiar with the discussions as saying. Speaking at a press conference with his Russian counterpart, Sergei Lavrov, in Moscow on Friday, Turkish Foreign Minister Mevlut Cavusoglu said that the two countries could cooperate on separating Idlib “terrorists” from opposition groups. He also said that when Turkey, Iran and Russia held talks on Syria’s ceasefire zones, Moscow did not expect militants to be “using it as a human shield” from which they could attack the government. Next articleNot as Safe As You Think! The American’s put up with this nonsense because the MS media refuses to inform them. That and the fact we are all slaves to our personal debt who can’t afford to miss a days work, let alone lose our job. Add to this that for the past 60 years we have been successfully brainwashed, family structure ruined, dumbed down, poisoned by our waters and foods to the point we no longer procreate at a natural rate, live in a police state, terrified of strangers, and are just waiting quietly for 5G to be rolled out to finish the job. Talk about flogging a dead horse – these British officer corps tykes (types!) apparently undergo all training courses with their heads in the sand and rear ends to the wind – and full of it, at Sandhurst – if former cadet James Le Mesurrier’s pedigree is anything to go by. Nothing else makes sense if this is the extent of their modern military ingenuity to stage yet another – yes, another! false flag gas attack in Syria under Le Messurier’s ‘White Helmets.’ It is time for Russia to saddle up and apply the coup de grace and with The Charge of the Light Brigade in mind, pummel them mercilessly under a devastating stampede of one-trick-ponies of the Russian State Circus. That should take care of the nonsense and allow the Russian troops back for tea by three from a samovar. Have Americans forgotten we could not have “won” WW2 without the Russian Army? We overcame Fascism only because the Russians lost 25 million people in WW2. We were allied against Fascism. Have the Jews forgotten that the Russians were the first ones to tell the world about the death camps? The United States needs to get it’s priorities straightened out, we need to be allied with the anti-fascists, not allies with Israeli Fascism. Putin has approached every single country in the world to ask them to declare holocaust denial a criminal offence, and he was partially successful in persuading several nations to adopt this law, and I believe he has since made a subsequent approach to all other nations to adopt this law, so quite obviously, Putin is absolutely a Jewish fanatic. He is held to have had a Jewish mother, and been heavily mentored by Jews in his earlier days, and we know that Jews destroy everyone but their own with great military zeal. Jews cannot be ‘fooled’ by clever political chicane ry, they know it all, there is nothing any politicians can say to any Jew to get round them, the Jewish policy beats all others, it is universal in application, that ALL Gentiles are to be enslaved and ultimately killed, then sent to hell, there is no getting round that, Jews ultimately destroy even all their allies, any fools who think that by getting in with the Jews they can have a piece of the action, a share in their power over the world, as that is not going to happen, we gentiles are all to be killed if theJews get their way, end of, there is to be no power share, no sharing of ‘well-being’ with the Jews, all this is most clearly stated in the Jewish ‘scriptures’ (terrorist manuals). Emphasis on “so called Western World” is called for as it is not a US only problem. Dumbest nation in human history.